Ages ago I made a little form that made it easier to get your twitter feed as an RSS. It just called the Twitter API and it was slightly useful for a few people, which was great. However, Twitter killed their old API and broke various things I’d made that pulled RSS feeds of user streams. I’d hosted the script on OX4, which runs on a bytemark vm with a gigabyte of RAM. The server had a couple of problems running out of memory and CPU when it started getting a lot of concurrent requests. OX4 doesn’t log trafic to any of its sites so I didn’t have much to go on debugging-wise. But I could watch top as requests to the cgi poured in. Here is the story of how I made my little cgi script scale to a million requests a month. For a start I focussed on some of the heavier users, like that idiot @ciderpunx. I was getting a lot of repeat requests for some accounts, so I started 500ing those users after asking them to keep a local cache. This helped. For a bit. Using fastcgi helped a lot with server load. But I was still using a lot of memory to cache all the pages. Cloudflare is a reverse proxy that you can put in front of your website to speed it up. They offer free and premium plans. I set up a free account and spent a while working out how to have it respect the cache-control headers I was sending and not hit my script with every request. The secret is to use the page rule feature. I set a global rule for the whole domain using the regex syntax and set cache everything in Edge cache expire TTL. 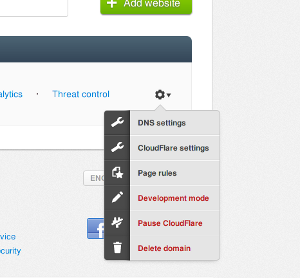 Now cloudflare is setup, the big cache is their problem rather than mine. And the bandwidth is theirs and not mine. Which is how I like it. My last change was to have heavier users get a longer cache timeout, which seemed fair. I put them into a file and have my script read that and give a 24-hour max age rather than the default half-hour for those users. Because cloudflare is configured to respect that header, it caches everything for 24 hours for those users. Which further reduces my server load. Now that I have done some work on performance TwitRSS.me is working pretty well. I have moved the hosting and built a frontend for the script so that it looks a bit professional. I have also set up a paypal so I can get donations towards the hosting costs and towards buying a pro cloudflare account, which seems like the ethical thing to do given that they are handling a lot of the load. It will be interesting to see how things develop in the future. Is the code public? I would be happy to make an example mojolicious port. A performance comparison would be really interesting. Actually Iâ€™d not made it public -- due to laziness more than anything. Anyhow Iâ€™ve now chucked itonto github if you want to have a play. Really interested to see what sort of performance boost you can get with mojolicious! Thanks for posting the code, here is my response. The file I link to is the non-blocking version, though there is a blocking version too, if you're into that kind of thing :-P.
What's the different between the normal generated link and the replies=on extension? I didn't realized any difference. However it couldn't be refreshed by your script :( What can I do if I would like get my Twitter posts on my blog in real-time without any delay? However it couldn't be refreshed by your script :( What can I do if I would like get my Twitter posts on my blog in real-time without any delay? Yes, I cache the RSS for 24 hours as I mention in the text of the article.